Asociación Salud y Familia has been an active member of Grundtvig Learning Partnership Program "Formation and Action in Time Banks". The leader of this partnership has been GRAAL Program Socio-Cultural Association of Portugal and participated as partners Cascais City Council and the National Association of Time Banks in Italy during 2011-2012. Comparison of initial and continuing training being carried out to the managers of participating countries Time Banks. 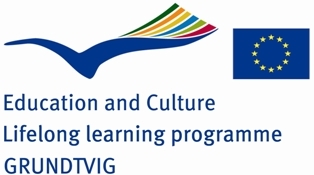 Modifications on learning modules resulting of the analysis of the formation and implementation by the participating countries organizations. Educational exchanges between organizations and Time Banks participating countries. Design, editing and diffusion of common recommendations for training managers of Time Banks in Europe. Design of a website (http://projectgrundtvig11.wix.com/fabancostempo) were all the materials can be found.